You can instantly review and compare data from up to 6 different meters† on the same document - providing analysis capabilities that a meter alone can't provide. Or use the FlukeView® Forms Plus Designer† to customize your reports or add your company logo. FlukeView® Forms communicates with supported tools fast and easily via an infrared serial interface. The software will automatically recognize your meter and transfer the data without any configuration. Share or store your data with co-workers or clients – print forms, export to other software programs, or have co-workers and clients down load the free FlukeView® Demo/Reader to view and interact with your captured data. For the meters in the table below, you can measure and store hundreds of readings to the meter's internal memory, and then later download the information to FlukeView® Forms. 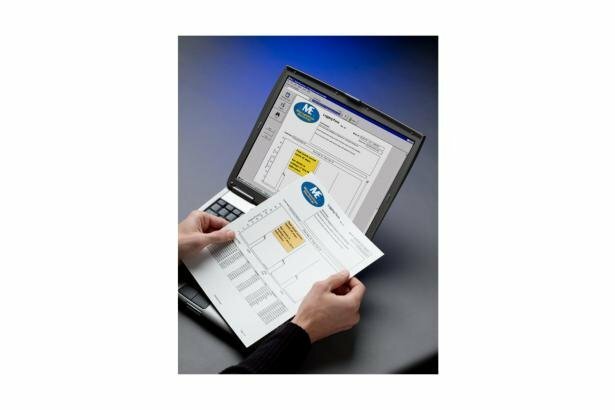 For meters that do not have internal memory, such as the Fluke-187, Fluke-789 and the Fluke-45, you can take interactive readings while connected to your PC with FlukeView® Forms. FlukeView® Forms also logs events to make analyzing your data easier. This unique method of data recording provides more detailed readings when the input signal changes significantly. The amount of signal change that will trigger an event can be adjusted to fit your specific test situation. The minimum, maximum and average of readings are recorded for each event. Logging sessions can also be configured so that data will be recorded over specific intervals (e.g., every 5 minutes or 30 seconds).